Bring your children to the YMCA while you enjoy a night out anytime between 4:30 pm - 8:30 pm. Reservations must be made in order to have a spot available for your children. 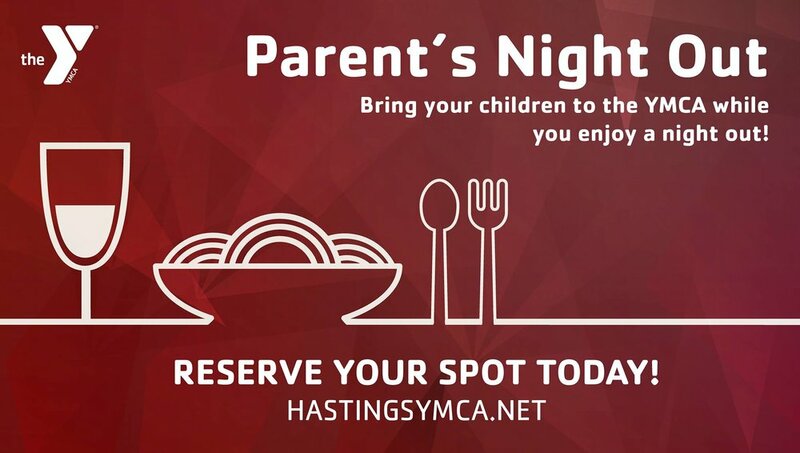 Make your reservation at https://www.hastingsymca.net/parents-night-out/ or at either YMCA facility! Reservations will be open 2 weeks before each date.